The Now Famous Shark Tank T.V. Show first aired in August of 2009. A lot of folks may not know that the Show is actually a close knock-off of the Dragons Den T.V. Show seen in Canada for the past 7 years. The Dragon's Den actually has several versions of investors and a long History dating back to where it first began in Japan called Manē no Tora which stands for "Tiger of Money". There is a total of 42 different versions of The Shark Tank Shows around the world with Investors speaking dozens of languages. Another interesting fact is that investors (Mr. Wonderful) Kevin O'Leary and Robert Herjevic, both with close ties in Canada, have been on the Dragon's Den and The Shark Tank since the very beginning. Both O'Leary & Herjevic were investors in the first Stark Tank Show and doing both shows at the same time. In fact, Kevin O'Leary still is. 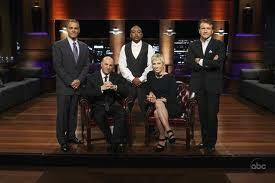 Season 1 of the Shark Tank T.V. Show the Investors included Kevin O'leary, Robert Herjevic, Daymond John, Barbara Corcoran and Kevin Harrington for a total of 14 episodes. Season 2 of the Shark Tank T.V. Show Investors included Kevin O'Leary, Robert Herjevic, Barbara Corcoran, Daymond John, Kevin Harrington, Mark Cuban and Jeff Foxworthy for a total of nine episodes. Season 3 of the Shark Tank T.V. Show Investors included Robert Herjevic, Barbara Corcoran, Daymond John, Mr. Wonderful, Mark Cuban and Lori Greiner makes Her debut for a total of 15 new episodes. Season 4 Episode of the Shark Tank Show they brought back all the Investors from Season 3 as and continue to break records as the Show continues to grow in popularity. ABC this year has ordered 24 brand new episodes and we Finally get an Entire Full Years Worth of the Shark Tank T.V. Show. :))) For all us Shark Tank Fans this is Great News!!! One small little problem with the Success the Shark Tank Show is sometimes it's easy to get away from your roots that made the show so popular in the first place. As with any Hit T.V. Show, it comes with more opportunities for profit from it's popularity. I sure hope someone from ABC has been monitoring the twitter feeds at #SharkTank because the obvious T-Mobile plugs are getting old. That and some of the celebrities on this year that don't seem to know squat about what they are promoting. At least try not to make it so obvious. Maybe it's just me, but it's more of a distraction then anything else. These are very wealthy investors and not very good actors when they are put in some of these positions. We love Shark Tank.... Love seeing a person's dreams come true WHEN A BANK won't help them...and others need to know when to give up their foolish inventions. We love Shark Tank and think it's a great show!! It gives hard working, smart entrepreneur a real chance of a lifetime!! I hope and dream one day our company www.ProfitSearch.net would get an opportunity like that!! One Never Know and Never Stop Dreaming! !